Peppa’s best friend, Suzy Sheep, comes to play at Peppa’s house for the afternoon. 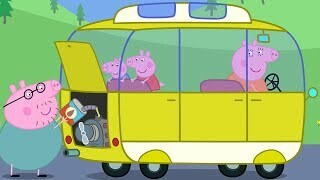 Peppa won’t allow George to join in. She says the games are just for big girls. 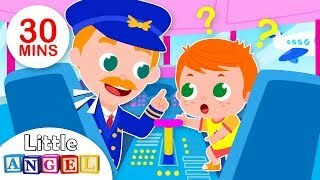 George is very sad, but when Peppa and Suzy want to play doctors and nurses, George is more than happy to be the patient – especially when Mummy Pig brings him cookies in be. George is joining Peppa at her playgroup today. Peppa doesn’t really want George to be there. It’s her playgroup after all. When George arrives he’s an instant hit with all of Peppa’s friends. They think he’s ‘brilliant!’ Peppa is so proud of her little brother that she decides he’s brilliant too – he’s her brilliant little brother. 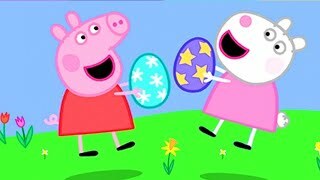 Peppa and George are having a fancy dress party and all their friends are invited. Peppa is dressed as a fairy princess and George is a scary dinosaur. Peppa’s best friend Suzy Sheep is a nurse, Danny Dog is a Pirate, Candy Cat is a witch, Pedro Pony is a clown and Rebecca Rabbit is… a carrot! Peppa has to judge the best costume and finds it quite difficult not to pick herself. Peppa is excited about her very first ballet lesson with all her friends. Madame Gazelle teaches them how to dance like swans, with grace and beauty. 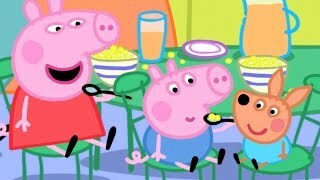 When Peppa gets home, she decides to teach Mummy Pig, Daddy Pig and George how to do ballet, but is surprised to learn that Mummy Pig and Daddy Pig know a few ballet moves of their own. 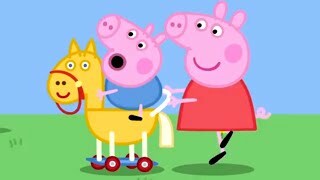 Peppa and her friends are at their playgroup today. Madame Gazelle introduces a new pupil, Emily Elephant. Everyone wants to be Emily’s friend because she is very good at building blocks and can make a very loud noise with her trunk. 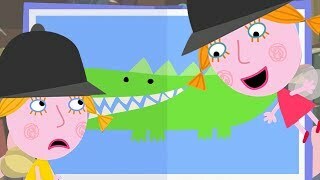 Peppa and Emily discover that they have something in common: they both love jumping up and down in muddy puddles. Rebecca Rabbit has a little bother called Richard who is the same age as George. George and Richard each have a toy dinosaur but George and Richard are not very good at sharing their toys. Mummy Pig shows George and Richard that they can have much more fun at the playground if they play together, just like their big sisters. It is Sports Day at Peppa’s playgroup. There are lots of exciting events, including running, jumping and the “tug of war”. 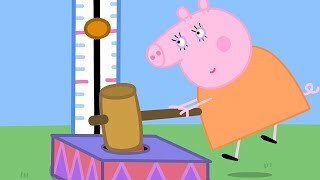 Daddy Pig tells Peppa that it’s not the winning that matters but taking part. Peppa agrees but she would still really, really like to win a prize. Suzy Sheep has come to play with Peppa. Suzy has made up a pretend friend called “Leo Lion”. Peppa cannot see Leo but Suzy announces that Leo likes roaring and he likes playing dressing up. Peppa decides that now she can see Leo. 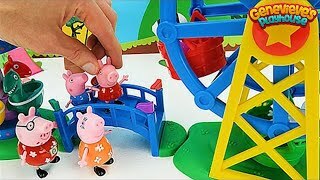 Even Mummy and Daddy Pig play along with the game. But Peppa’s little brother George cannot see Leo and feels a bit left out. Peppa and George are playing in their tree-house. 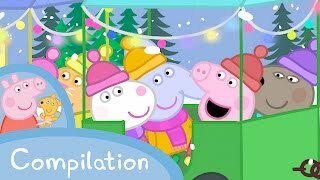 Peppa’s friends come to play but Peppa decides that only girls can come into the tree-house. So, Grandpa Pig builds the boys their very own den shaped like a castle. The girls want to stay in their tree house and the boys want to stay in their castle. But when it starts to rain and the garden is covered in muddy puddles they change their minds and rush out to play together. After all, everyone loves jumping up and down in muddy puddles!